Depois de seis anos na Suécia, retornei ao Brasil onde resido em Natal, RN, junto com a minha mãe. Estou começando a me envolver outra vez com a JOCUM Brasil, viajando para ensinar em algumas escolas e também no exterior. Foi um grande privilégio servir como missionária brasileira na Suécia e poder dar algo de Deus de volta para este pais. Há cem anos atrás, dois Suecos missionários trouxeram o evangelho e o mover Pentecostal para o Brasil. Eu cheguei em Agosto de 2009 trabalhando com Jovens Com Uma Missao (JOCUM) Restenäs, que fica a 1 hora de Gotemburgo. Fiz parte da liderança da JOCUM alí e trabalhei com lideres jovens em discipulado. Meu desejo é poder ver um re-avivamento na Europa. Eu estou na JOCUM desde 1987 e agora mais do que nunca desejo compartilhar através de ensino, palestras e treinamento, o que Deus tem depositado em minha vida e experiências nestes 30 anos de missões. I have returned to BrazilIt after being in Sweden for six years and I now reside in the city of Natal where I help care for my elderly mom. I am starting to get invovled again with YWAM Brazil, traveling to teach in some of their schools and also traveling to teach abroad. It has been a great privilege to serve as a Brazilian missionary to Sweden and give something of God back to this country that sent missionaries to Brazil and the world 100 years ago! 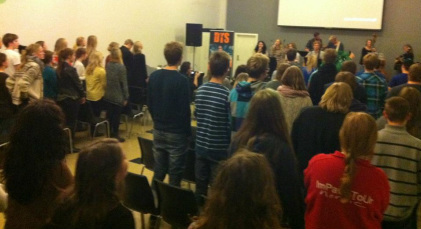 I was working with Youth With A Mission (YWAM) Restenäs, located 1 hour from Gothenburg as part of the YWAM leadership team and my work was equipping young leaders to disciple youth. 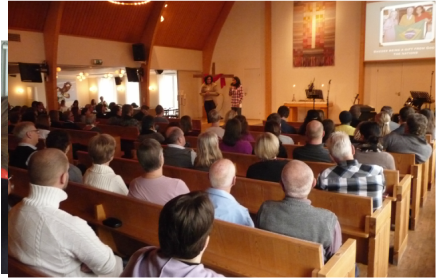 My desire is to see revival take place in Europe again. 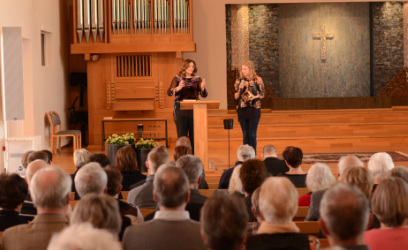 I have been in YWAM since 1987 and now more than ever I feel the desire to share through teaching what God has deposited in my life and the experience of 30 years involvement in Missions. 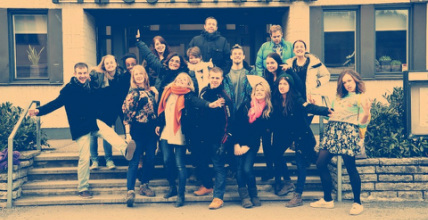 KONTAKT - Youth weekend event at Restenas. Evento com jovens e adolescentes na JOCUM em Restenas. Meeting Bertil and Ridmor VIngren. Bertil is 87 years old and the only living son to Gunnar and Frida Vingren. Gunnar and Daniel Berg were the first two Swedish missionaries coming to Brazil in 1910. Encontrando Bertil e Ridmor Vingren. Bertil, 87 anos, e seu pai foi o pioneiro missionario que chegou no Brazil em 1910 junto com Daniel Berg. Eles fundaram as Assembleias de Deus. 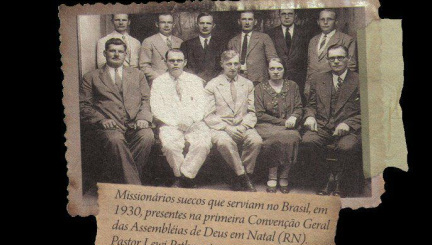 Swedish Missionaries (Bertil's parents in the center) in my hometown, Natal, in 1930 for the first Assembly of God convention.